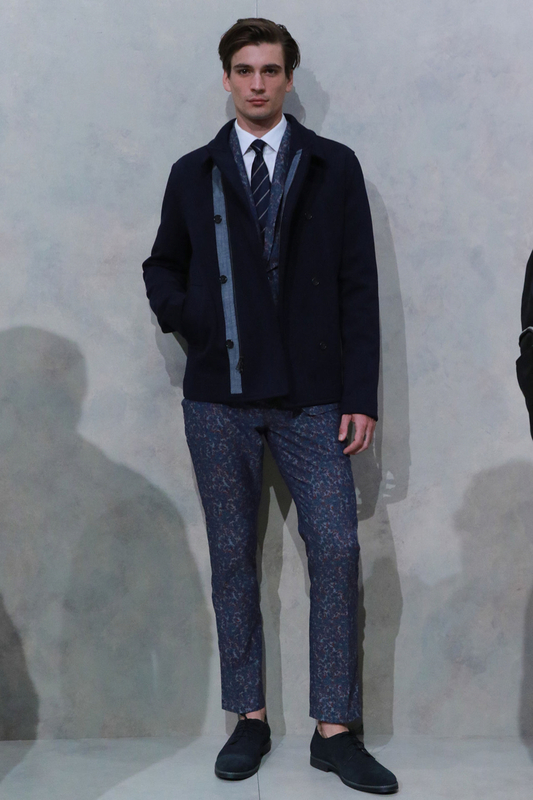 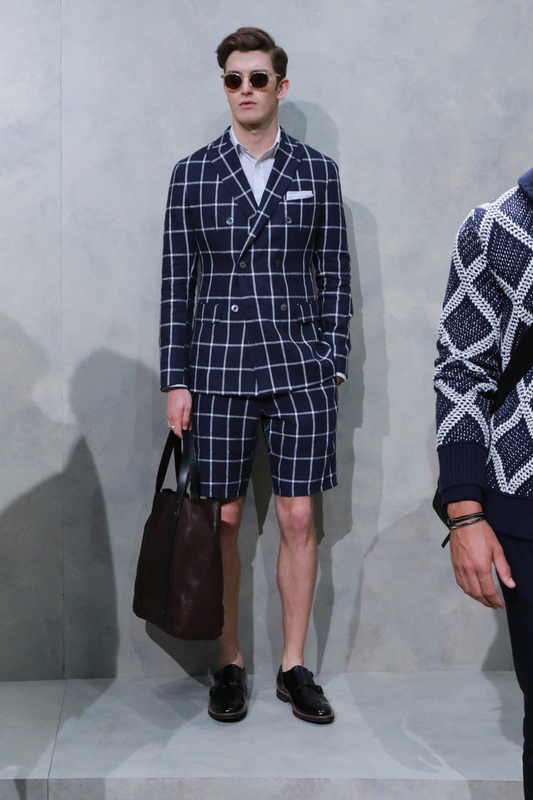 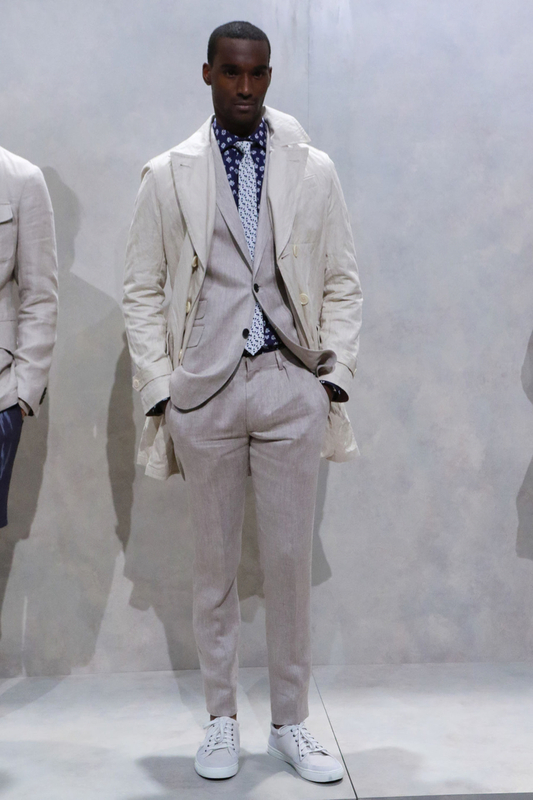 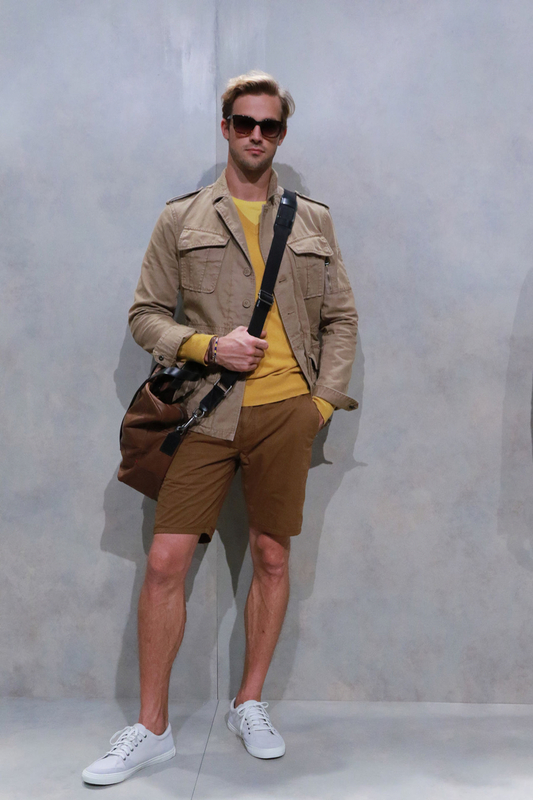 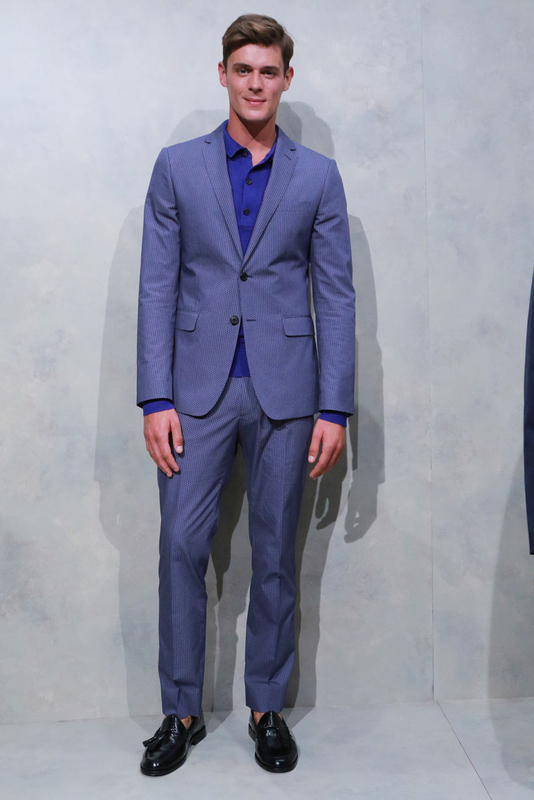 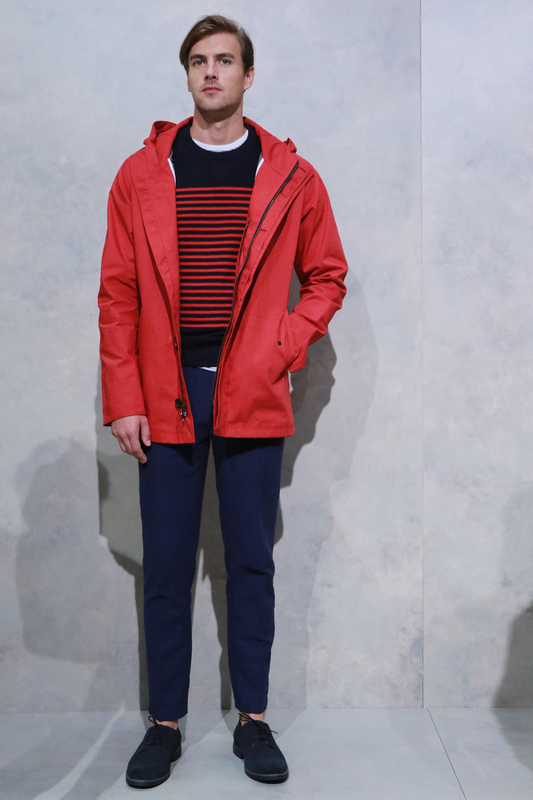 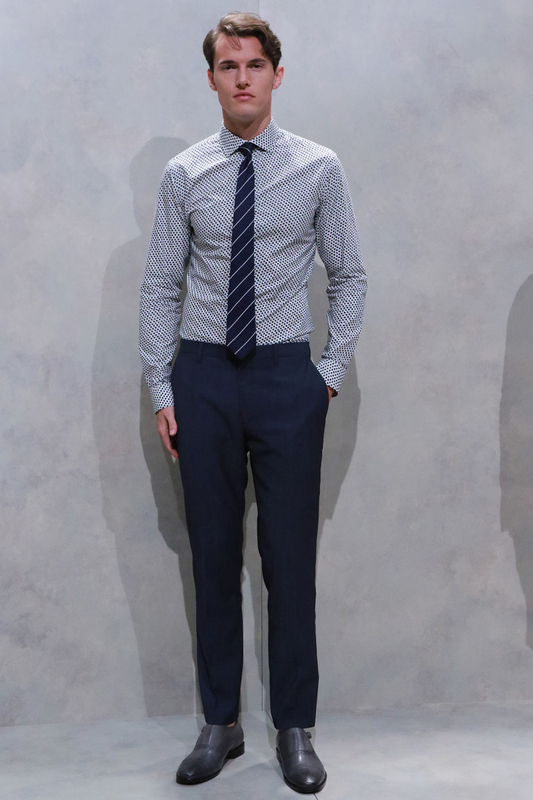 Holding a presentation during New York Fashion Week, Banana Republic unveiled a sleek, contemporary spring-summer 2016 men's collection. 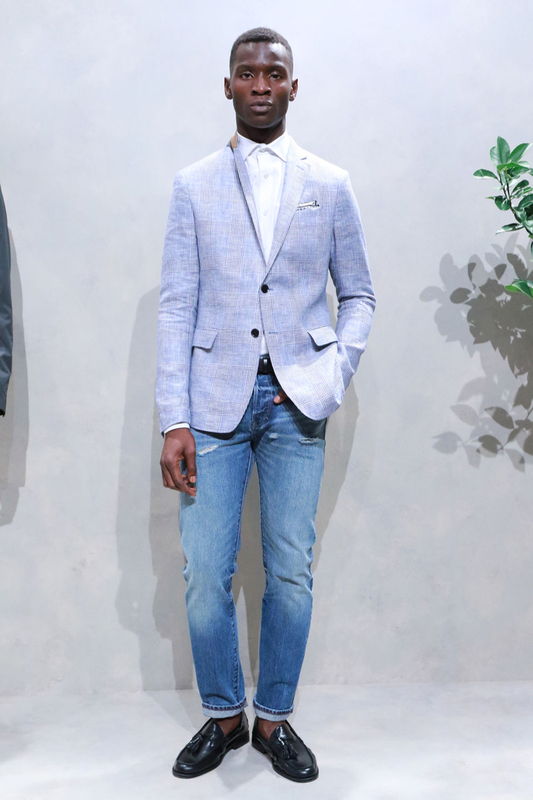 Models such as Henry Barnacle, Adonis Bosso, Miles Garber and Andre Bona were on-hand to showcase men's essentials, updated with a slim silhouette. 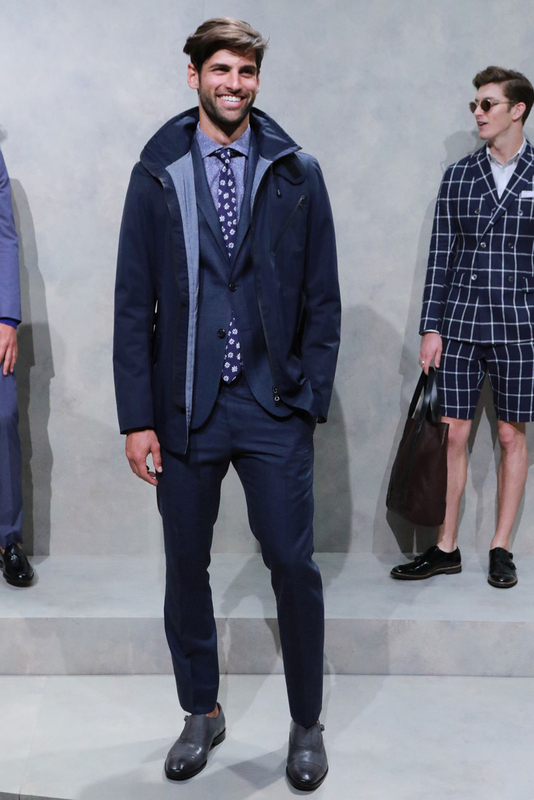 From the sports jacket and denim jeans to sporty hooded jackets layered under blazers, Banana Republic served up several worthy style options for the season.